Charges smartphones and tablets via USB. 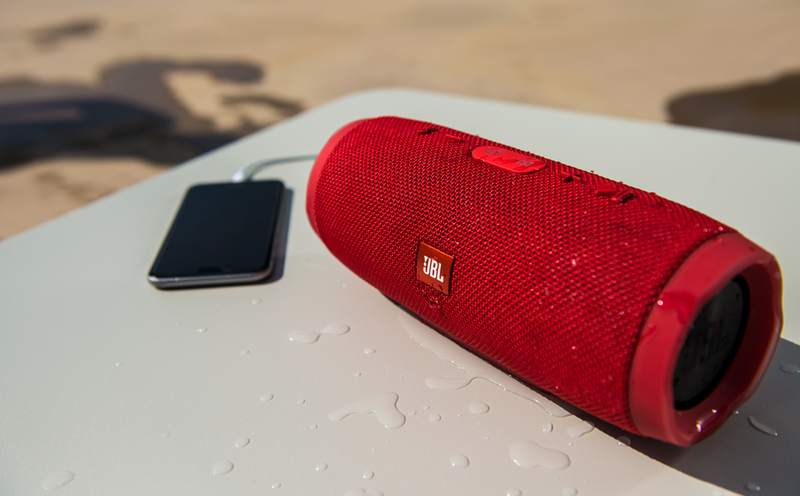 JBL Charge 3 is the ultimate, high-powered portable Bluetooth speakers with powerful stereo sound and a power bank all in one package. 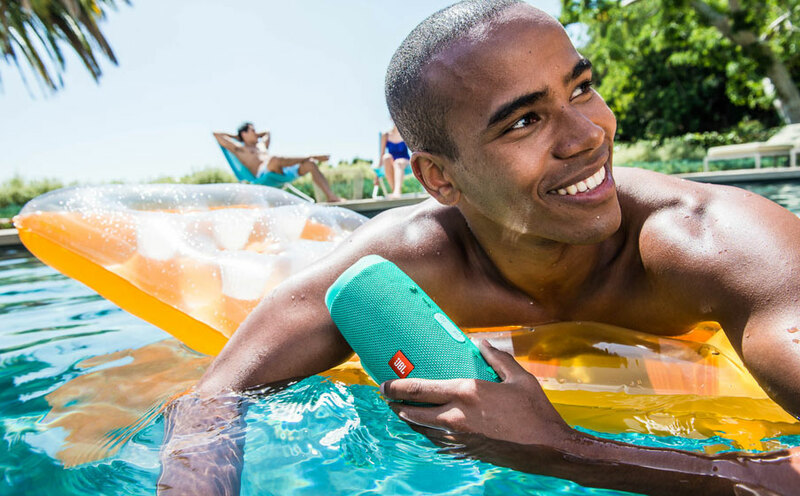 The Charge 3 takes the party everywhere, poolside or in the rain, thanks to the waterproof design, durable fabric and rugged housing. Its high-capacity 6,000mAh battery provides 20 hours of playtime and can charge your smartphones and tablets via its USB output. A built-in noise and echo-cancelling speakerphone gives you crystal clear calls with the press of a button. 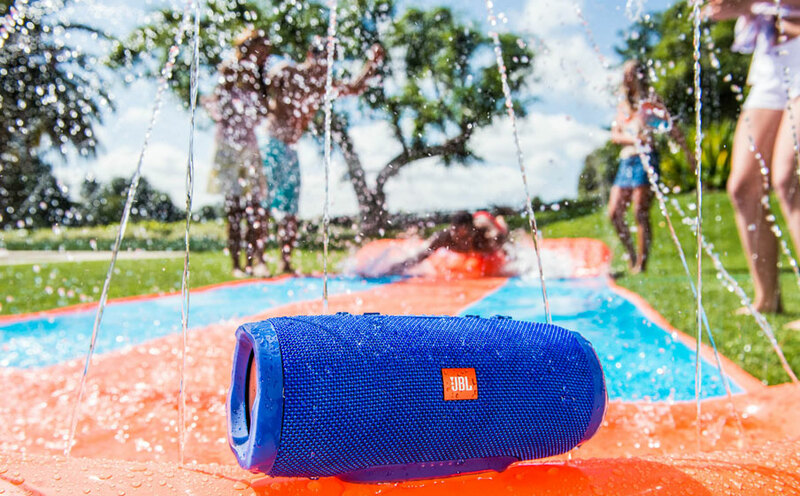 Wirelessly link multiple JBL Connect-enabled speakers to amplify the listening experience.